On January 17, a naming ceremony was held at the Sakaide shipyard of Kawasaki Heavy Industries Ltd. in Kagawa prefecture for a new liquefied natural gas (LNG) carrier which NYK and JERA Co. Inc.* will jointly own. ** The ceremony was attended by Hendrik Gordenker, chairman of JERA Co. Inc.; Yasumi Kudo, chairman of NYK; and a number of related parties. 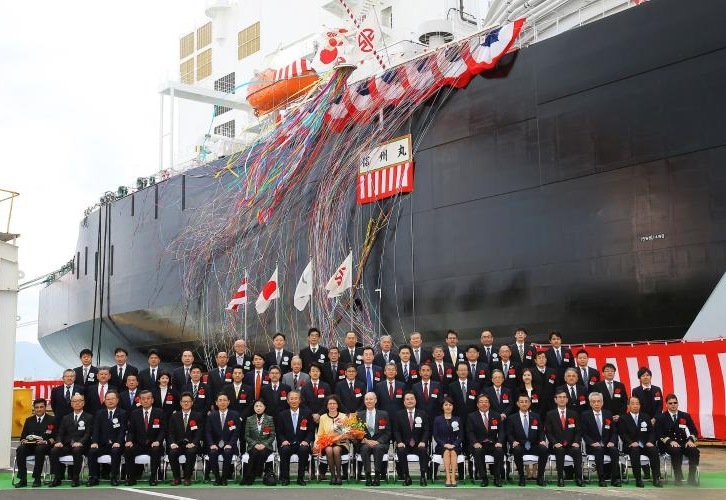 At the ceremony, the ship was named “Shinshu Maru” by Mr. Gordenker and the ceremonial rope holding the vessel in place was cut by his wife. The ship derives its name from “Shinshu”, the traditional name for Nagano Prefecture, located in central Honshu—the primary island of Japan, which is one of the areas that the Chubu Electric Power Co. Inc. distributes electricity. The ship will be delivered in February 2019 and assigned to transport LNG for a 20-year period from the Freeport LNG Project in Texas, U.S., in which JERA has an equity interest. NYK will be responsible for ship management of the vessel. In accordance with its medium-term management plan “Staying Ahead 2022 with Digitalization and Green,” the NYK Group seeks to secure stable freight rates through long-term contracts and continue its efforts to contribute to a stable supply of energy. Jointly established by TEPCO Fuel & Power Inc. and Chubu Electric Power Co. Inc.
** In 2015, NYK and JERA jointly established the Trans Pacific Shipping 7 Limited (equally owned by NYK and JERA) to own LNG vessel. 10th from left in front row: Hendrik Gordenker, chairman of JERA; 8th from left in front row: Yasumi Kudo, NYK chairman. 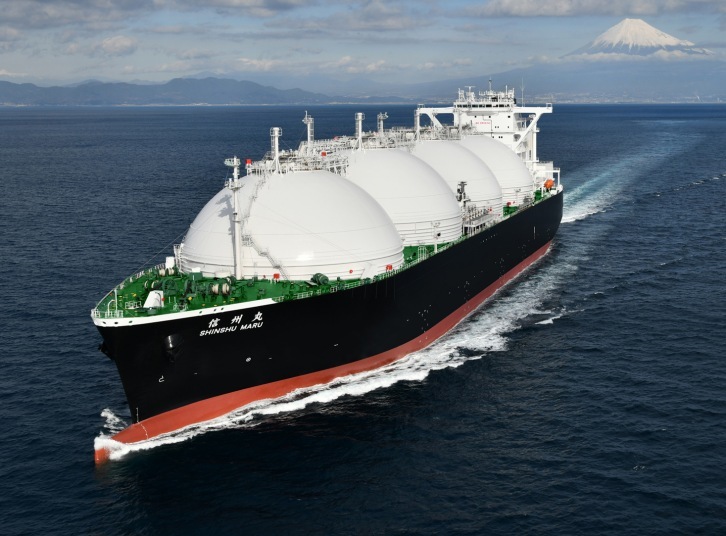 LNG carrier "Shinshu Maru". Image by NYK Line. Shipbuilder: Kawasaki Heavy Industries Ltd.